I love having my lavender oil on hand because there are so many uses for it! It is very versatile and just so amazing with what you can do with it. 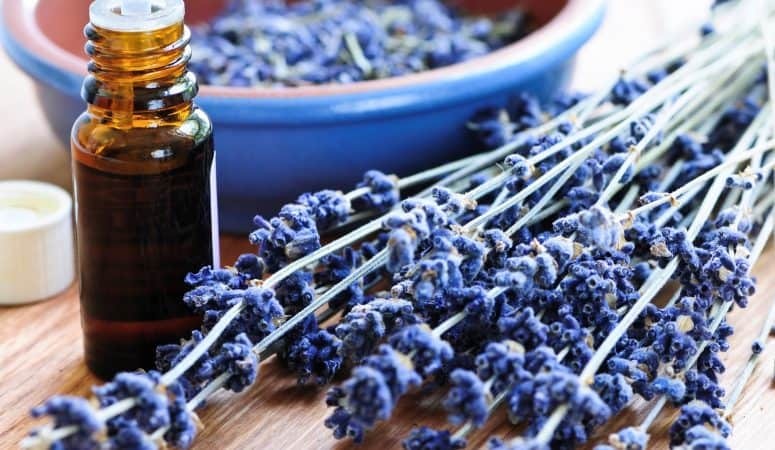 Here are just five uses for pure lavender essential oil, but there are so many more. I only use pure, quality essential oil. Please don’t buy the stuff from the discount store because it will not have the same effect. I only want the best for you. Think about the last time you were laying in bed, not sleeping, don’t you wish there was something natural you could use to help you sleep? This is what lavender essential oil can be used for. To stop those sleepless nights. It is very calming and helps you to relax. I like to put it on the bottoms of my feet or on my temples, and I go right to sleep. Lavender can also be used in the diffuser so you can smell it throughout the night. Lavender essential oil can also be used on kiddos because it is a mild oil. So reach for the lavender if your kiddo isn’t sleeping very well. Just dilute with coconut oil if you are going to use it topically. One of the great uses for pure lavender essential oil is to soothe the skin when it is inflamed. So maybe you have eczema or maybe your skin is itchy because it is dry. Lavender soothes those areas and stops the itch. It makes the skin feel so much better. Or have you ever burned yourself on the oven and not known what to put on it to make it stop hurting? Just put some lavender essential oil on it, and it will soothe the skin where it burned. And again, safe for the kiddos to use. I used to not go outside ever in the summer, because I hated the smell of bug spray and I couldn’t handle getting the bug bites. But now, when I get a bug bite, I just put the lavender on, and the itch goes away in a few seconds. Anybody else want to take back going outside in the summer? It can also be used on kiddos for their bites, because you know they are going to get bug bites, and you know they are going to scratch them. Do you know that dryer sheets have some pretty hefty chemicals on them? I have given up using dryer sheets in the dryer and now use wool dryer balls to keep the static away. They work great and are reusable. I also put a couple drops of lavender on them so that our clothes smell nice and we get that calming effect from the lavender through our clothes. 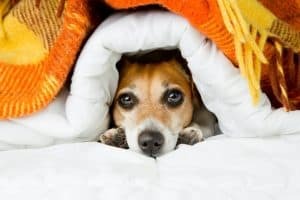 Do you have a puppy who gets scared during storms or get anxious when you leave them? Or maybe you have a cat that just gets scared of everything. Well this can be one of the uses for pure lavender essential oil as long as it is diluted. Put around their collar area, just a little tiny bit. And it will calm down your dog or cat. More on essential oils you can use on animals later, but for right now, think of lavender to calm down your puppy.